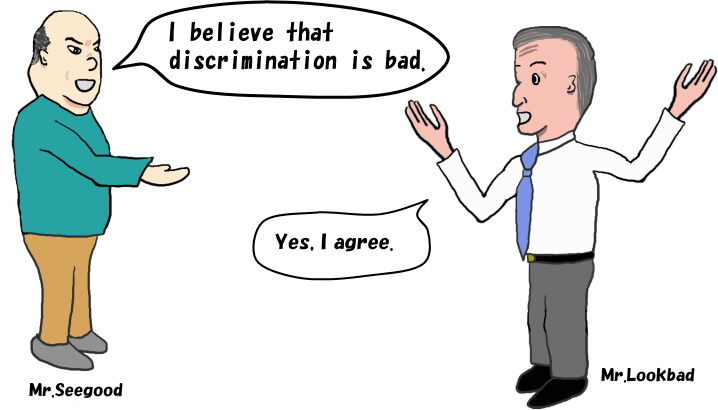 Mr.Seegood told Mr.Lookbad that Discrimination is bad. Fortunately, Mr.Lookbad supported his view. Mr.Seegood felt at ease.